Often, on the internet, it's difficult to find a trustworthy cannabis community that's also tolerant of "fresh-heads" and will help out the inexperienced. Even when a cannabis forum does seem to deliver comradery and connectivity, it usually does so at the expense of user happiness. In short, cannabis forums seem to always lack quality, in one form or another. 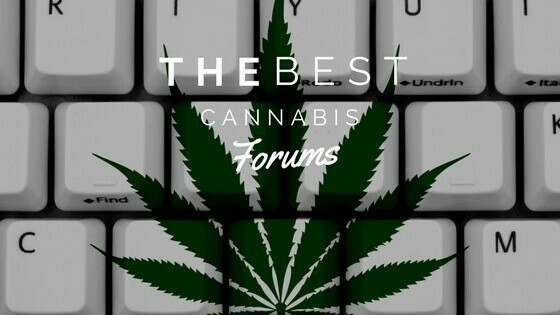 The following are some of the best cannabis forums on the internet, and ones that you'll actually learn from and make connections with like-minded stoners. Back in the day, when I first started smoking as a teenager, Grasscity was my go-to for cannabis-related questions. Their forum was full of people older and wiser than me, who appeared happy to answer my questions. In fact, they were simply happy to engage in any conversation about cannabis. Everyone in the Grasscity forums welcomes a good weed dialogue. Moreover, they always offer friendly, truthful and insightful comments, whether in the form of a suggestion or an answer. With the continuity of not only their forums but also the Grasscity Headshop and publication of Grasscity Magazine, the site established itself as a pioneer of cannabis forums, a long time ago. As a die-hard Redditor, the subreddit, r/trees is by far my favorite cannabis forum. Users of Reddit can post text for discussions, questions and more, links to other sites, and even pictures of pieces or cannabis. Trees is the perfect place to share experiences, stories and culture. Like every subreddit, r/trees utilizes Reddit's built-in reputation system, or "karma." Therefore, every post in the subreddit is subject to up or downvoting by other users. Furthermore, while Reddit's r/trees might be the ultimate stop for trustworthy answers based on personal accounts, it might also be one of the less tolerant of supposed newbies. That being said, spend some time on Reddit before knocking r/trees. It can be a really fun and rewarding experience after getting the hang of everything. THC Farmer is a community for cannabis growers and cultivators. Their tagline even reads: "Cannabis Cultivation Network." That isn't the only topic of conversation you'll find there, however. These guys all have an extensive history with cannabis, so they generally know what they're talking about. 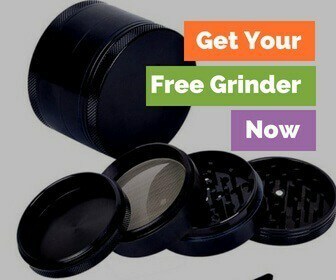 While you can bring all your growing and cultivation questions here, you can also find a lot of information about different types and strains of bud, better smoking tips, shopping guides and news relating to cannabis. The forums at THC Farmer are friendly as ever. All of the farmers communicate with one another as equal friends, regardless of cannabis knowledge. The site is well-maintained and moderated. It's very aesthetically pleasing and acts of trolling, bullying or solicitation are not tolerated. People who are new to cannabis or smoking should definitely check this place out. Likewise, veterans to the herb should also pay the forums a visit. There is a virtual friend around every corner. In addition to being, perhaps, the most organized site on this list, Roll It Up has it all. Every topic relating to cannabis is covered in their forum, from growing and cultivating to legality and stoned quotes. Roll It Up contains endless user-generated content to keep you entertained for hours upon hours, while you smoke. There is even a category called "Newbie Central" especially for anyone who is new to cannabis culture. Most of the users, themselves, seem to be polite and welcoming and keep the forums active all day, every day. There is always something going on in the many forums of rollitup.org. To put it bluntly, the forums at thctalk.com are like r/trees and rollitup.org combined. Everything is separated topically, like rollitup.org, but presented in a minimalistic but engaging way, like the subreddit, r/trees. After registering, be sure to introduce yourself, then explore the forums and its niches. THC Talk forum topics go more in-depth than most cannabis forums. There are sections for plant germination, and propagation, music and sports, compost, non-cannabis horticulture, and, comedically enough, Amsterdam. They have even compiled a cannabis strain database. Anyone interested in cannabis can find something new to learn on THCtalk.com. The user community is comparable to that of Reddit. While everyone is nice and friendly, they have a somewhat low tolerance for trolls and ignorance. Start an account on both websites and you'll understand. While every cannabis forum, inevitably, has something unique to offer virtual visitors, some are, admittedly, better than others. We've just rounded up some of the absolute best on the internet, today. Make sure to take your time to experience each one in full before deciding to drop one or the other. All of them vary in presentation, order and community behavior while sharing some universal characteristics, such as entertaining and sometimes useful content. Now, before you light up another one or open that bag of Doritos, hurry up and join one of the best cannabis forums!